Why do we need to read the Bible? This is a common question asked by new believers who have a difficult time understanding the Bible or struggle to find the desire to read it each day. Here are just a few reasons why every Christian should read the Bible on a regular basis. The Bible isn’t like any other book, nor should it be read like any other book. The Bible is the very Word of God. 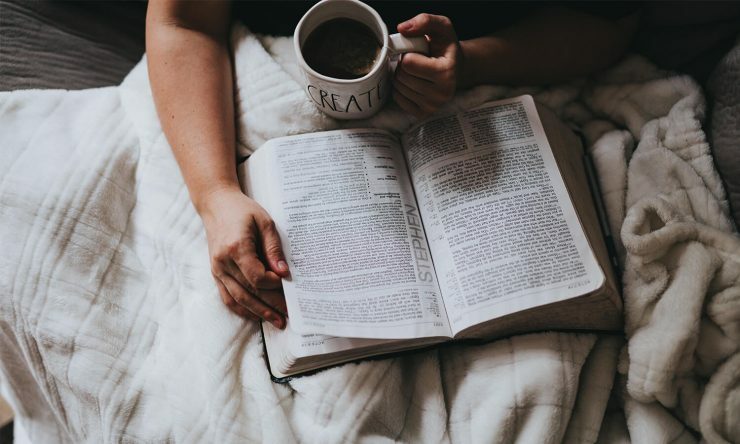 In fact, 2 Timothy 3:16 says that “all Scripture is breathed out by God and profitable for teaching, for reproof, for correction, and for training in righteousness.” It is as if God is speaking each time we open and read it. As such, the Word of God has a power and authority unparalleled in all of literature. It alone defines what is good and what is evil. It is important that the we know and obey what it says as Christians. The Word of God is alive and at work within us each time we interact with it. Hebrews 4:12 reads, “For the word of God is living and active, sharper than any two-edged sword, piercing to the division of soul and of spirit, of joints and of marrow, and discerning the thoughts and intentions of the heart.” The Word of God is alive and at work within us each time we interact with it. The truths found in Scripture pierce our hearts, minds, and souls in ways that nothing else can. Many times, God uses it to convict us of sin in our lives. Other times, He uses it to remind us of the sweet promises available to those who love Him. The Bible reveals to us who God is, who we are, and why we so desperately need Him. Furthermore, no one has become a born-again Christian without hearing the Good News of Jesus Christ, which is recorded in the Gospels. The Bible also provides believers with wisdom and directions in our lives. In Psalm 119:105, the Psalmist says that God’s Word is “a lamp to my feet and a light to my path.” God reveals His will for all mankind in His Word. When we feel lost or aimless in life, we can come to the Bible knowing that God will light our path. We may not see the whole picture, but we will have just enough light to walk with Him. Finally, the Bible is our greatest weapon against sin and temptation. When Jesus was tempted by Satan in the wilderness, He resisted him by quoting the Bible from memory. Jesus said, “man shall not live by bread alone, but by every word that comes from the mouth of God (Matthew 4:4).” One reason we need the Bible more than “our necessary food (Job 23:12)” is because it equips us, as believers, for spiritual warfare. Ephesians 6:17 makes clear that the Word of God is called the “sword of the Spirit.” With it we wield truth and victory when the enemy comes to us with lies and accusations. Like a skilled warrior, we must train if we want to be ready for battle. The Bible was not given to angels or animals, nor was it written for only an elite few. It was written for every man, woman, boy, and girl—that includes you. God desires to have an intimate relationship with you. Like with any healthy relationship, it requires honest communication. God has something to say to you, friend. But you won’t know what it is unless you are listening to His Word, the Bible. Take some time to read it today. Also read Are there any errors in the Bible?